These days we see a lot of Lambda expressions popping up in code. Lambda expressions are indeed a great way of defining and passing “method information” to other classes and methods. I define them as “method information”, because there are in fact a couple of .NET types that accept a lambda expression as their value. As an example I want to pass method information about a method, which accepts a string as input parameter and returns a number, as a parameter for another method. But which type can we use for the parameter of this method? Defining specific delegates can be timeconsuming. Since .NET 3.5 we can make use of Func. This generic type can be used to define a delegate which can accept up to 8 parameters and off course one return type (for void delegates you should use the Action delegate). I will not go in detail on Expression Trees. You can read a lot of articles about this already. You just wrap the Func delegate in an Expression object (you could also pass a specific delegate off course). The Compile method converts the Expression Tree to a delegate, which we can invoke. So, why should we use an Expression Tree? There are probably a lot of reasons, but for me the following 2 reasons are the most important. You want to get the name of the method or property, which is used in the lambda expression without executing it. This is used to implement a type safe PropertyChanged notification method. 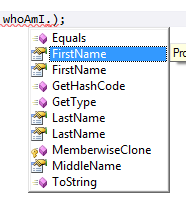 On an Expression type you can call the Name property to achieve this information. If you have a reference in to the input argument of your method, but the argument is not yet instantiated at that moment, you have to use an Expression Tree. If you use a delegate type, this will throw a null reference exception, because it expects an instance of the object to retrieve the pointer to the method of this object. As an ASP.NET developer, you certainly found yourself in the following situation. You have a number of mark-up elements in your page which should be hidden/updated/… all at once. The solution is to put them in a panel or updatepanel. In previous versions of Visual Studio you had to manually type the tags to surround your mark-up with, causing a lot of copy pasting and scrolling sometimes. Visual Studio 2010 now offers the “Surround with…” option in your ASP.NET mark-up. We already knew this feature from VB.NET or C#. You can chose which snippet needs to be used for the surrounding. It’s just a small feature, but it should already have been in Visual Studio for a long time! 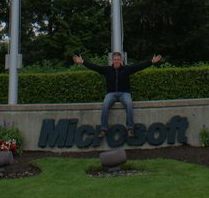 Where Office 2007 introduced Microsoft’s new Open XML format, Office 2010 (which RTM’d last week) goes even further in its support for open standards. 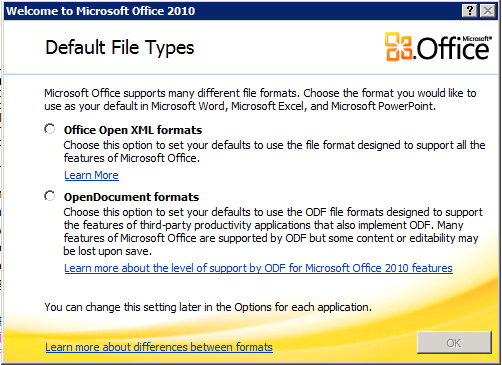 Microsoft definitely adds more flexibility with this feature, enabling Open Office users to open their ODF files in Microsoft Office and vice versa.